ISS 240/VMS 288/AMI 325: Web-Based Multimedia Communications, which we are offering in a hybrid online lecture and live section format for the first time. 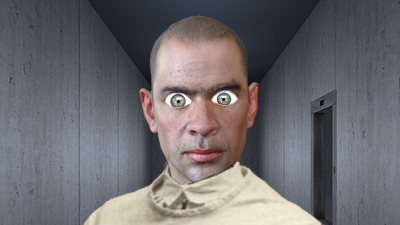 (I will be doing the lecture parts and coordinating the sections). This course fulfills the Practice component of the Visual and Media Studies BA in Art, Art History & Visual Studies as well as for the Information Science + Studies Certificate. HCVIS 580S/VMS 580S/CMAC 580S: Proseminar 1: Historical and Cultural Visualization for our MA in Digital Art History/Computational Media. I will also continue the Digital Durham and NC Jukebox Bass Connections projects, focusing on the updating and development of our archives websites and derivative cultural heritage apps, as well as helping out on the related collaborative Building Duke project with the Wired Lab. I may take on a few students interested in working on these projects as part of an independent study or as volunteers, with an emphasis on archival research and development of digital assets. 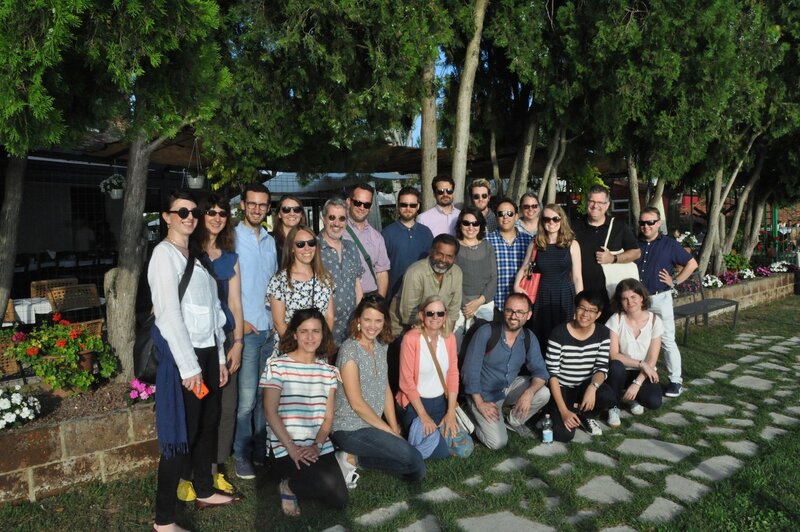 We just finished up the Advanced Topics in Digital Art History: 3D Geospatial Networks Institute in Venice! Sponsored by the Getty Foundation and undertaken in collaboration with the University of Padua and Venice International University, we came together to talk about how DAH advances both Art History and transforms it. What an amazing group of collaborators – I’m thrilled to be able to continue to work with them over the course of the next year. The Wired Lab captured our Tweets during the Institute and we’ll be posting blog updates and reflections from our participants soon. The whole experience was truly energizing and exciting! 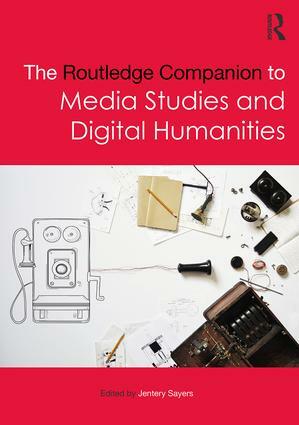 My essay, “Apprehending the Past: Augmented Reality, Archives, and Cultural Memory,” written for the Routledge Companion to Media Studies and the Digital Humanities, edited by the heroic Jentery Sayers, is now out. Truly in exalted company! If only it weren’t quite so expensive – at least there is a semi-affordable e-version. I can’t wait to dig into everyone’s contributions. We got to show Psychasthenia 3 at the Hygienic Gallery in New London, CT in the Future Perfect show curated by Nadav Assor as part of the Intersections Colloquium. New London is such an interesting city too. I’d love to do an historical “Ghosts” project there at some point. Guess I miss my Connecticut roots! It was too cold to spend time at Mystic, unfortunately. JAN 5, 2018: Advanced Topics in Digital Art History: 3D Geospatial Networks, June 4-16, 2018 in Venice, Italy. Sponsored by the Getty Foundation. JAN 30, 2018: Virtual/Augmented Reality Digital Humanities Institute. July 23-August 3, 2018 in Durham, NC. Sponsored by the National Endowment for the Humanities. 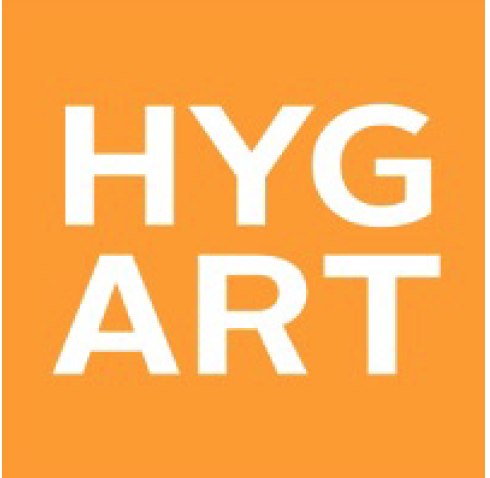 In my Chair of the ACM SIGGRAPH Digital Arts Community capacity I just closed the CFP for new curators for online digital art shows co-organized with us. I’ll be opening up a new CFP soon for contributions to an online show called Origins and Journeys to take place at the conference in August 2018. More details soon! In Spring 2018 I will be teaching two classes. The Information Science + Studies Capstone, the culminating course of the ISS Certificate is always one of my favorites because we usually do a group project on a topic of shared interest amongst the students.App projects are often popular; I look forward to seeing what we come up with this time around! I’ll also be co-teaching Digital Durham with my longtime collaborator, Trudi Abel, who leads the Archvies Alive initiative in Rubenstein Library.. This course is cross-listed in ISS/VMS/HISTORY/EDUCATION and counts as an ISS elective, as well as a VMS elective. We are busy working with our Bass Connections team this Fall to explore new content to integrate into the class, and working closely with Trinity Technology Services and the Library’s Data and Visualization Services to update our infrastructure for the existing Digital Durham website. 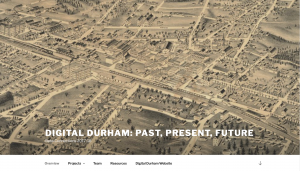 We also hope to connect with many of the other Durham-themed projects going on around campus and create a portal site to facilitate future collaborations. The course itself will focus on a key period in Durham history – the late 19th to mid-20th-century period industrialization, education, and shifting race relations. We also hope to tie in some of our work on NC Jukebox as it relates specifically to the Durham context. Our work preparing for the two summer institutes, on 3D Geospatial Networks, and on Virtual and Augmented Reality for the Humanities, should also find its way into this work, giving students lots of opportunities to explore how new technologies transform our abilities to to do research, teach, and invoke the presence of the past in contemporary lived experience. 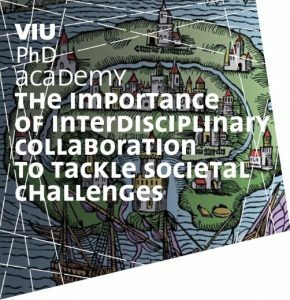 I recently had the opportunity to co-teach a workshop on “The Importance of Interdisciplinary Collaboration to Tackle Societal Challenges” at Venice International University. It took place from September 18 to 22, 2017 and brought together a fascinating group of faculty and students. I joined a team who developed an idea for a web platform to address the challenge of promoting participation in the electoral process. Rather than focus on “get out the vote” campaigns, our team was ultimately concerned with all the disinformation that spreads through social media and disreputable news sites. We designed a platform to facilitate community participation in discussions around contemporary issues. Of course, the most important part of the experience was realizing how much we all take for granted the assumptions of our own disciplines and national/regional contexts. What sounded liberatory to one group was oppressive to another. I look forward to trying to develop similar opportunities at home! I may even assign some students Pechua Kucha presentations in the future – something I definitely hadn’t been sold on before this.